SoliCall is a leading provider of software products focused on improving sound quality in VoIP. SoliCall is specializing in the fields of acoustic echo cancellation, noise reduction and noise suppression with the added value of identification of the speaker. Now you can make your calls a pleasant experience. The need for robust noise reduction and echo cancellation technologies is more important than ever. Phone calls are made from crowded and noisy environments, for example from call centers and from the road. Even home-office can be noisy when your children are around. As a result, phone calls contain, in addition to the speaker’s voice, acoustic echo and unwanted ambient noise like car horn, other people talking around you, wind noise, screaming kids, background music and keyboard-strokes. In addition, SoliCall offers a robust server-side and network echo cancellation that can handle a very long tail. The echo cancellation can dramatically improve the quality of the calls and can work bi-directional. SoliCall’s advanced noise reduction technology can be used to enhance voice quality in different products and usage scenarios among which are smartphones, VoIP phones and also environments like call centers, conference bridges, open offices and gateways. SoliCall can also monitor call quality and calculate various parameters including MOS scores. 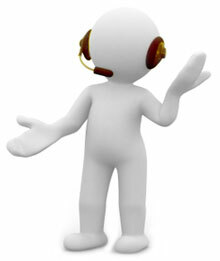 This information can help plan & improve the quality of service (QoS) in your VoIP network. Now you can make your calls a pleasant experience! Contact us for more information about our noise reduction and acoustic echo cancellation products. PBXMate for Call Centers – for call centers looking for a noise firewall solution to remove ambient noise from the calls. This product is used by call centers that can add Sip Proxy or Sip Trunk to their telephony network. Otherwise, SoliCall Connect is used. PBXMate Classic – for conference bridge provides, network operators and organization looking to cancel echo and remove noise from their telephony network. SoliCall Connect – for call centers, looking for a noise firewall solution to attenuate background noise from the calls. This product is seamlessly integrated in call centers that have windows-based sotfphone either a stand-alone phone application or a browser-based phone application. SoliCall Pro – for organizations looking to improve audio quality when using softphones and do not require centralized audio filtering and analysis. Mobile and Client SDK – for companies that want to integrate our technology in their client software or devices. Server SDK – for companies that want to integrate our technology in their server solution.